• Relax afterward at the official BGDB afterparty. Ladies from all over the world will converge on NYC to join us for this adventure. On the first Sunday in May, 32,000 cyclists of all skill levels come from around the world to roll through every borough of New York City on streets totally free of cars. For one day, the roads are yours, the bridges are yours, the City is yours—there’s no better way to experience the Big Apple. Produced in conjunction with the City of New York, the TD Five Boro Bike Tour Presented by REI is the largest charitable bike ride in the U.S., with proceeds funding our free bike education programs. Last year alone, we taught more than 17,000 kids and adults. When you ride with Bike New York, you’re helping us in our mission to empower more New Yorkers with the skills to ride safely and confidently on city streets. Ladies from Black Girls Do Bike Chapters all over the country will be joining Team "Black Girls Do Bike" as we take over the Trekk 100 in Wilwaukee, Milwaukee!! Register now…and enjoy the ride!! Congratulations on your entry into the BMW Berlin Marathon 2019. 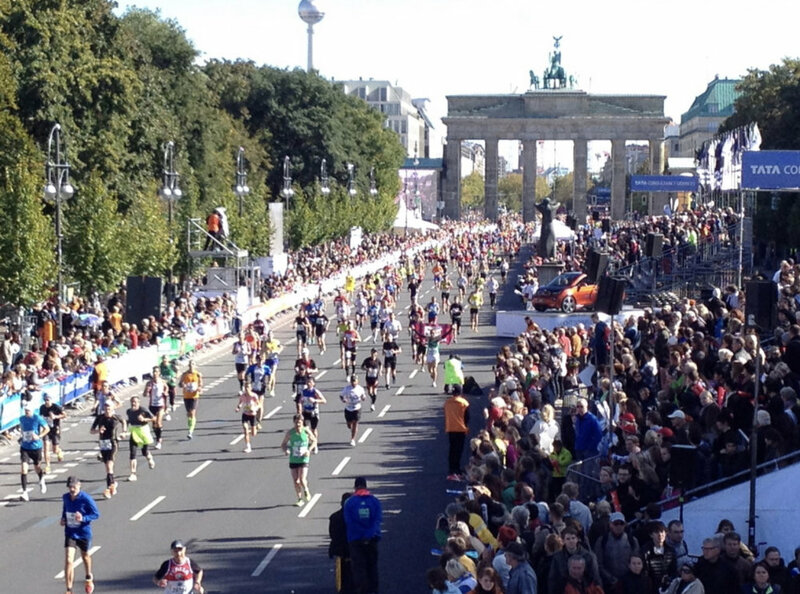 You are planning to run the BMW BERLIN MARATHON and looking for travel arrangements contact Runner Destination Events! Did you always wanted to visit, run, and tour Havana? Bring your love ones, friends, and family with you. They do not have to run the marathon to be included. The 4-day Package includes hotel, tour, marathon package, and certification of travel to Cuba. Rates are based upon Double Occupancy, which includes all-inclusive resort (standard room), round-trip transfers, and travelers insurance. *All prices are subject to change until deposit is made. Are you ready for a Runcation to bring in 2019! A Winter Runcation to Run Los Cabos Half Marathon in February 2019. It's time to start planning for your run..by asking your run family, run groups, friends, and family to make a weekend of memories, relaxation, and enjoying the sunset! Run Los Cabos Half Marathon offers a 21k tour of San Jose’ del Cabo’s historical downtown scenic routes and the astonish-ing Puerto Los Cabos Marina. Barceló Gran Faro Los Cabos Resort located overlooking the impressive waters of the Gulf of California and have spectacular water views of the Sea of Cortez. This All-Inclusive resort have private balconies and positioned in an exclusive location that is 1.6 miles from San Jose’s cultural and atmosphere. This superb beach hotel in a privileged setting for Running and Relaxation! The resort is 10 minutes from the Start/Finish Line. **Deposit Plan option is available. ***Travel Dates are flexible for your travel needs. Airfare is available from different airport locations.